The results of a clinical trial show that combining a treatment referred to as suicide gene therapy with chemotherapy successfully and safely kills tumor cells in the prostate. The suicide gene therapy involves a technique of genetically modifying cancer cells in the prostate so they will trigger the immune system of the body to attack them. In this study, which was published this past week, researchers at Houston Methodist Hospital manipulated cancer cells in the prostate through using a mix of viruses as well as adenovirus, which is the virus known for causing the common cold, to help deliver a herpes virus gene into the cells of the patients. Once the gene for the herpes virus is delivered and starts producing it thymidine kinase, patients received valacyclovir and drug used to treat herpes. That combination in turn attacked the DNA of the herpes and the TK producing cells began to self-destruct, which is why they call this procedure the suicide gene therapy, said researchers. 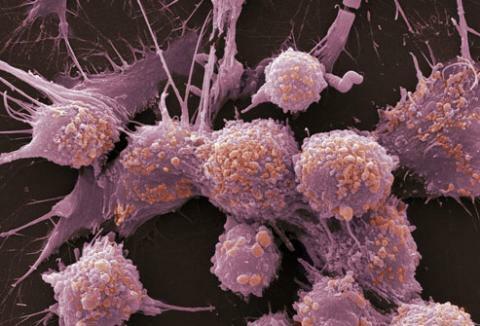 The researchers for the trial divided patients who had prostate cancers into two different groups. Participants of this study were grouped according to the severity of their illnesses. Those that had a less severe cancer case were treated using radiotherapy while those that had severe cases were given both hormonal therapy and radiotherapy. Patients in both the groups underwent the suicide gene therapy. Patients with the less severe prostate cancer cases were given the therapy two times during the period of this study and those with severe cases were given three treatments. Those with less severe cancer cases had a 97% survival rate of five years, while those suffering more severe cases of prostate had survival rates of 5% to 20% better in comparison to current procedures. These patients who took part in the clinical trial were found as well to have a high freedom of five years from failure rates, which says there was not any indication of a recurrence of cancer in biochemical testing.